Thermal blinds from LondonBlinds4U combine both design and functionality. You don’t have to sacrifice your ideal colour, pattern or style of blind in order to get all the benefits of thermal blinds. 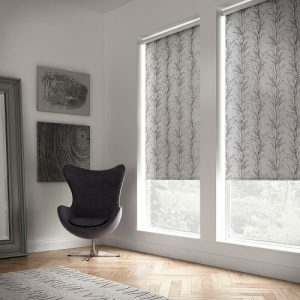 Thermal blinds are available in roller and roman, and in a huge range of colours and patterns. You don’t need to give up on design to get the functionality. You can find thermal blinds no matter what your style and taste. Of course, one advantage of thermal blinds is the heat insulation. Curtains are often better known for their insulating properties than blinds, but blinds can be just as great when they are made from special insulating material. The material that make our thermal blinds help to keep heat in your room in the winter and keep it out of your room during the summer. It’s the ideal way to manage the temperature of your house all year around. With heat insulation, comes money saving benefits. Thermal blinds help to keep your house warm in the winter, so you can turn the thermostat down. This reduces the amount of energy and money you spend on heating. It makes thermal blinds a simple and effective way to save money in the winter. Thermal blinds are therefore also a great way to help the environment. 84% of the energy used in for heating in Europe comes from fossil fuels, while only 16% comes from renewable sources. Using thermal blinds reduces the amount of heating you need and therefore reduces your carbon footprint. Keeping your house well insulated is a great way to be more environmentally friendly. Because thermal blinds have thicker material to create the effective insulation, they are also more opaque (less see through) than their non-thermal counterparts. This means that having your blinds down creates a darker space inside that’s proven to improve sleep. It also helps to increase your privacy. Not only do thermal blinds help to minimise the light coming in, they also help to minimise the light that can be seen from outside your house. They help to create more privacy for you and your family — especially in the winter months when it’s dark outside and light in your living room or bedroom. If you’re looking for a great way to give extra insulation to your house, save money and be more environmentally friendly, then thermal blinds are a great choice. LondonBlinds4U supply some of the highest quality thermal blinds available in London. Get in touch with us today. Why not check out one of our other blogs such as decorating your Christmas window!